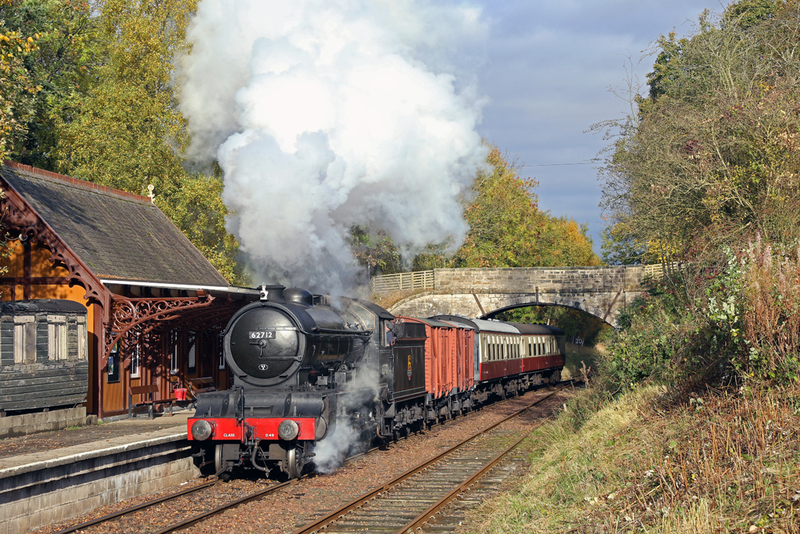 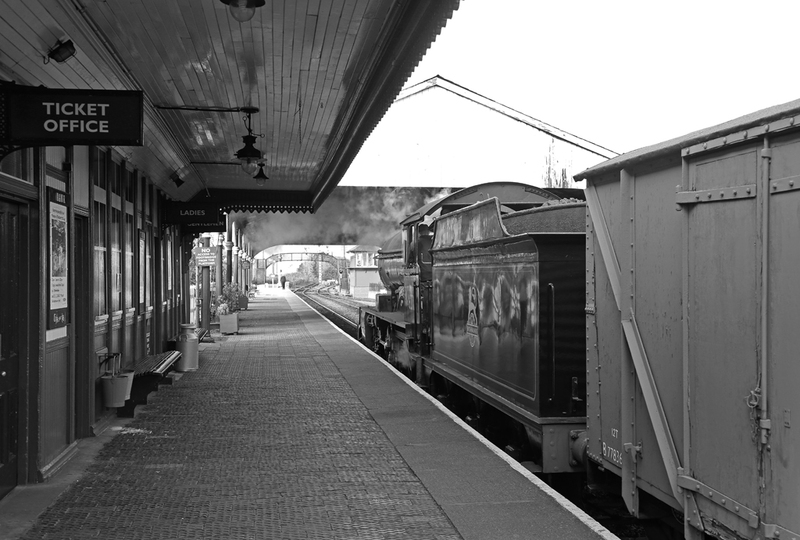 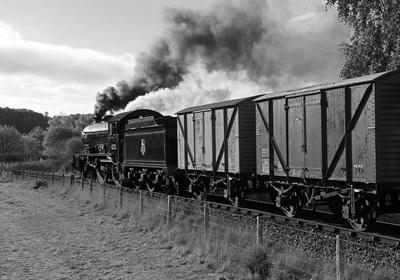 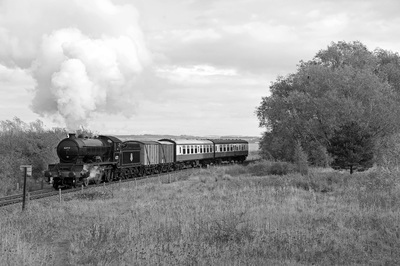 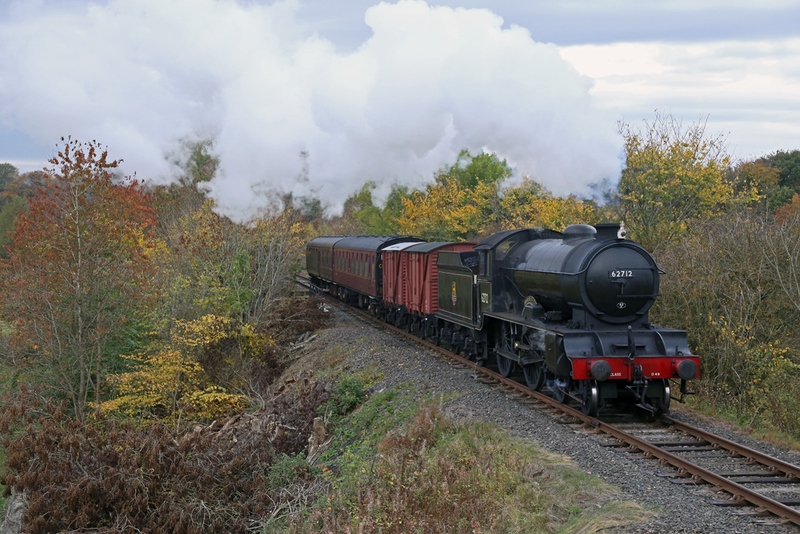 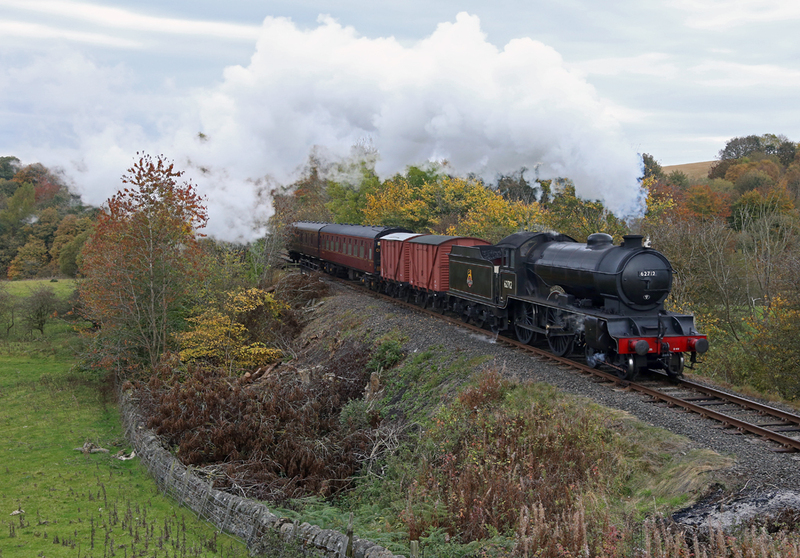 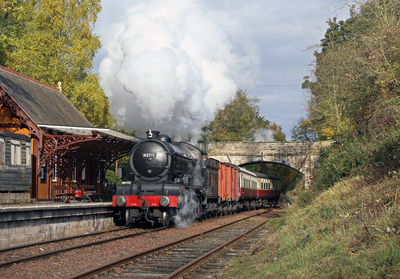 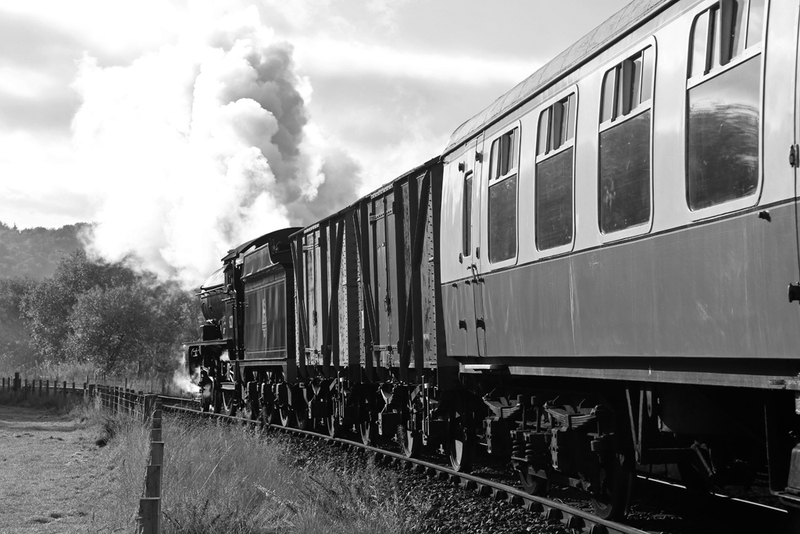 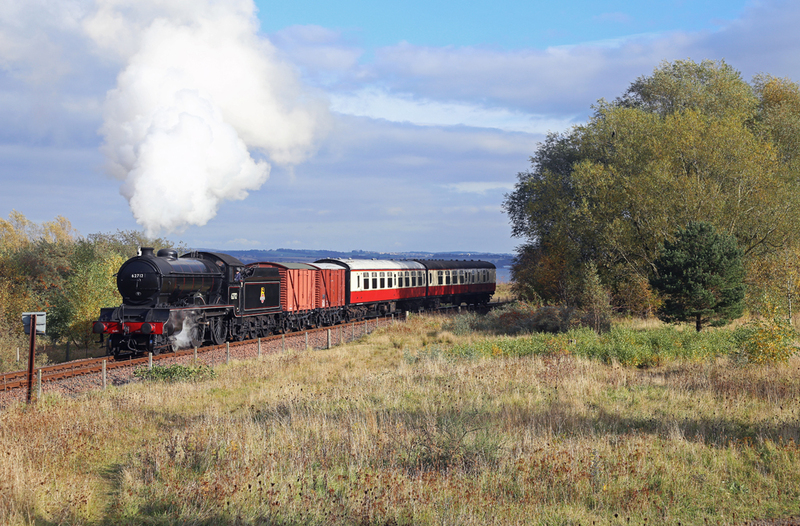 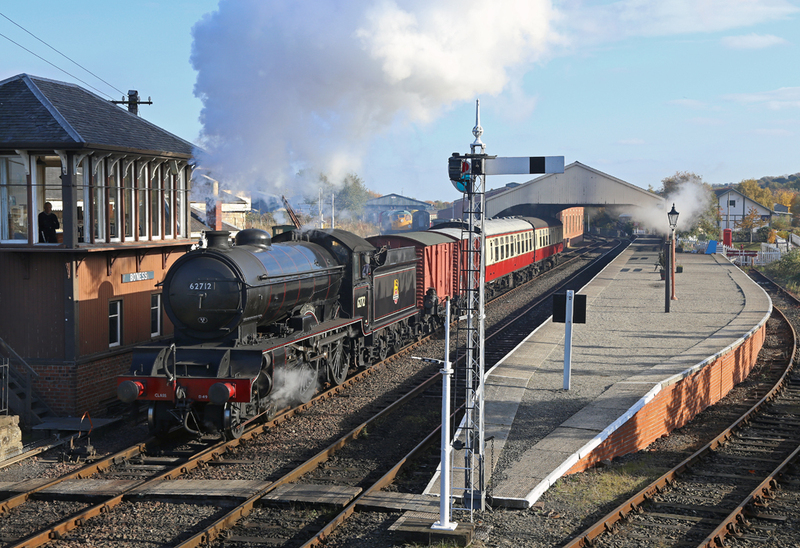 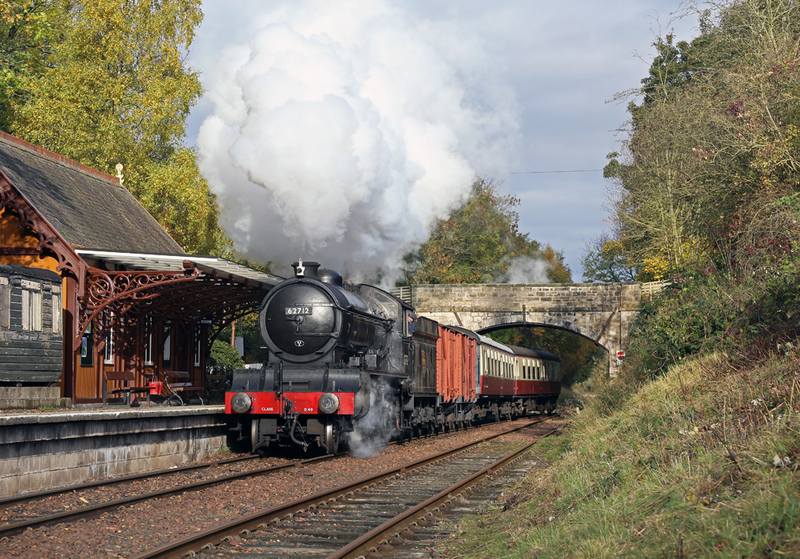 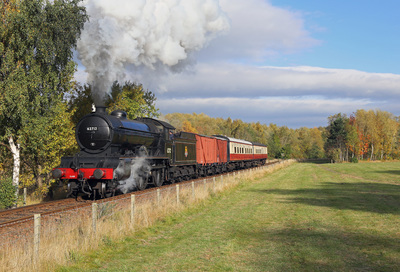 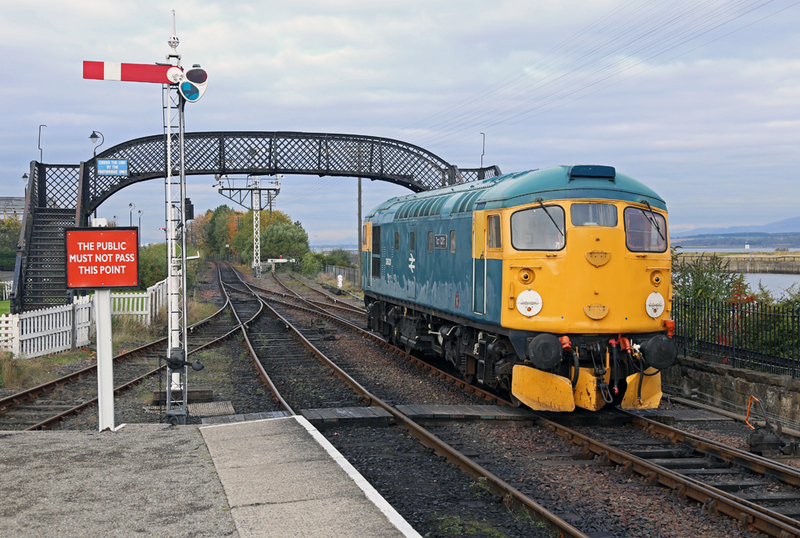 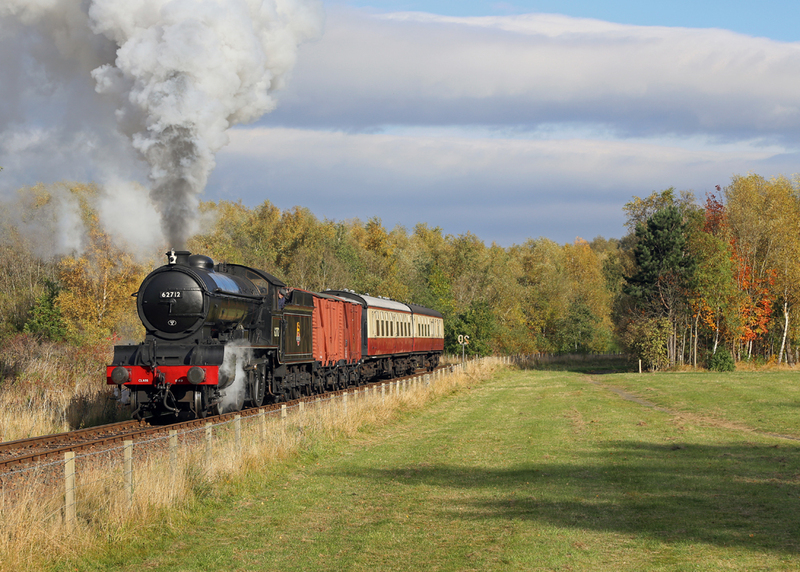 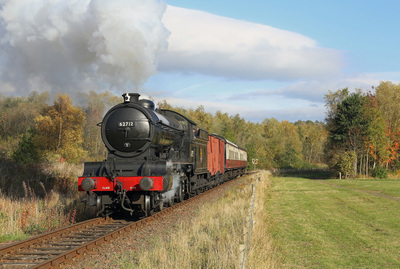 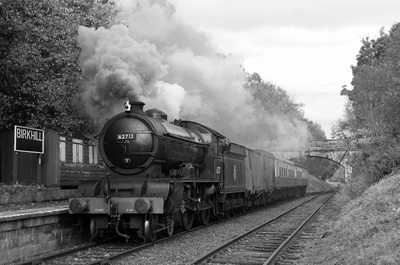 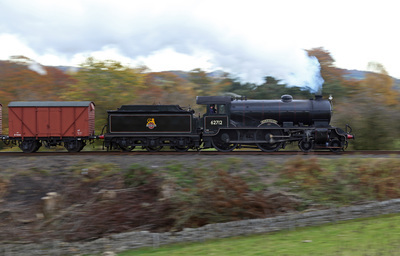 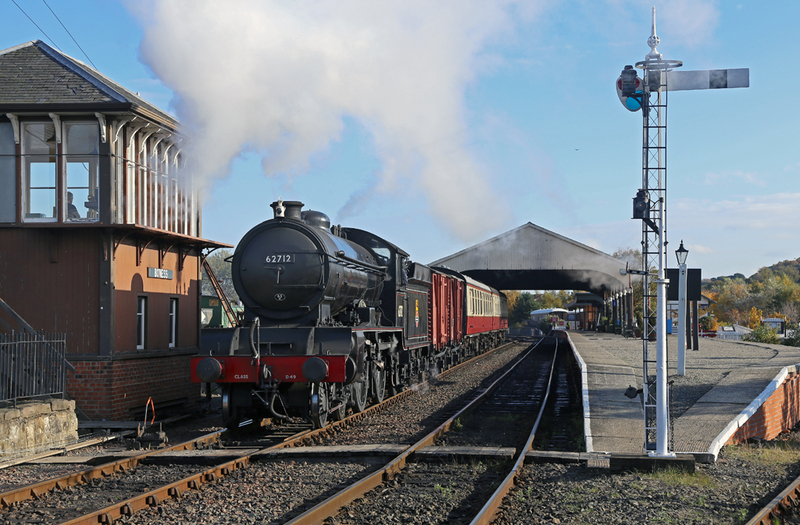 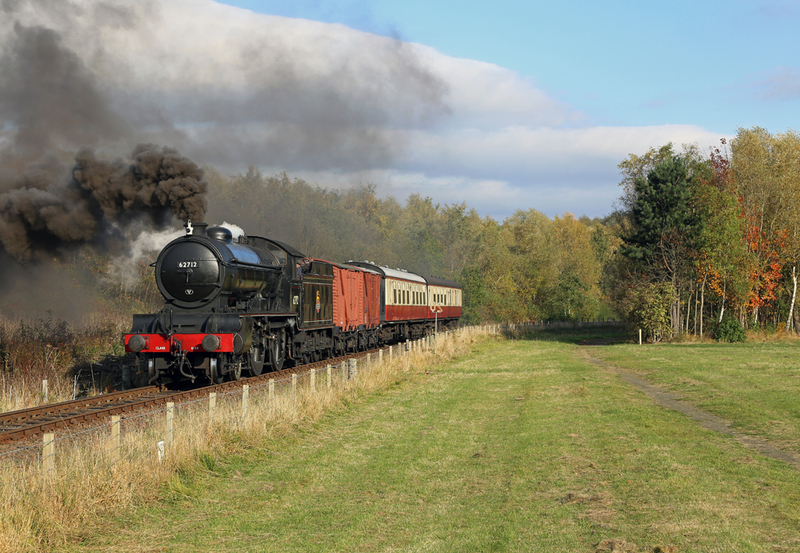 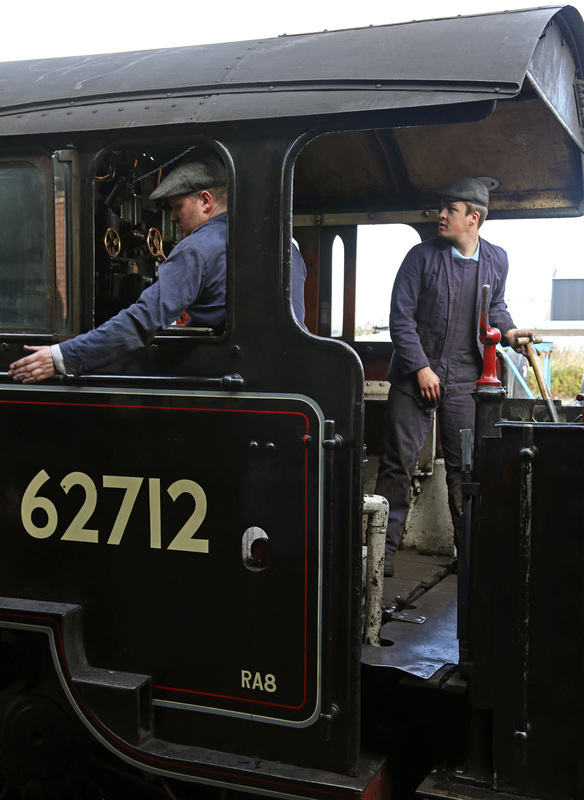 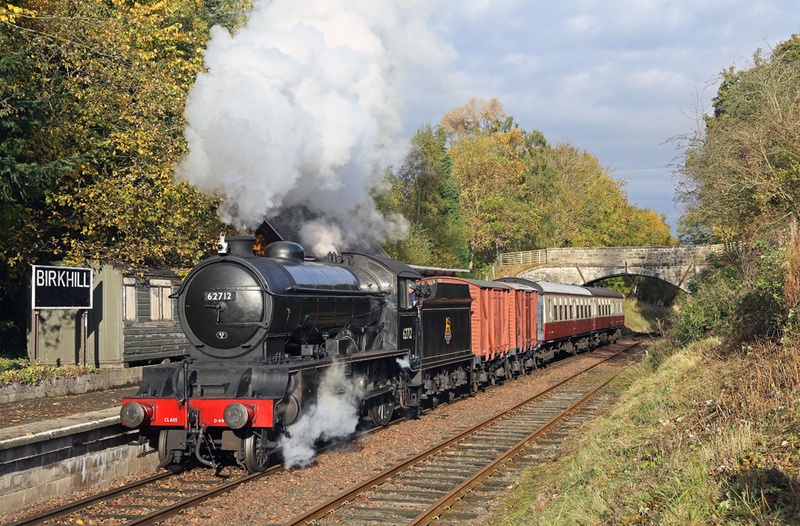 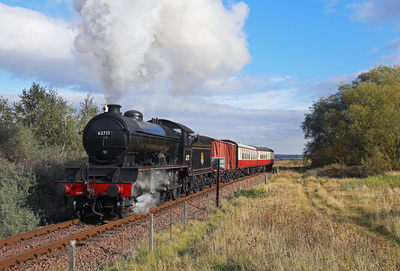 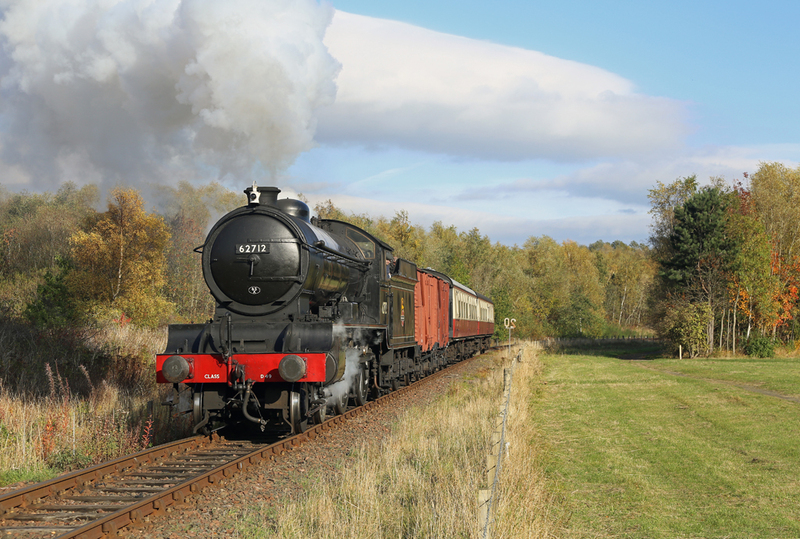 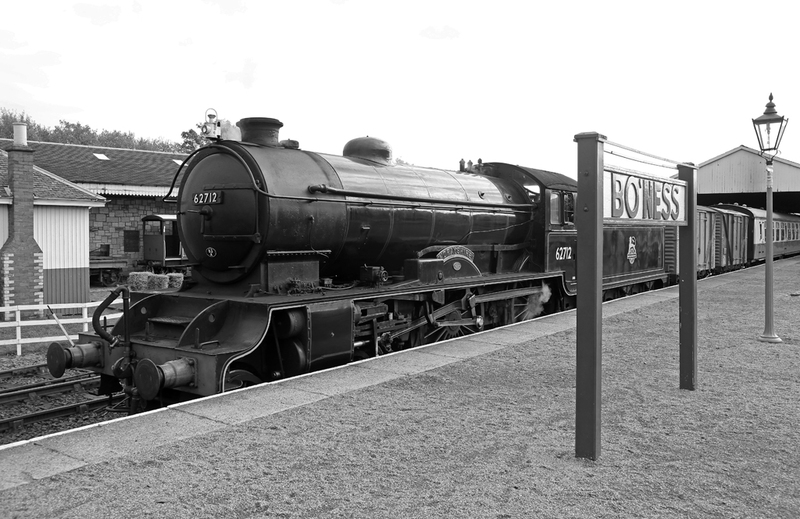 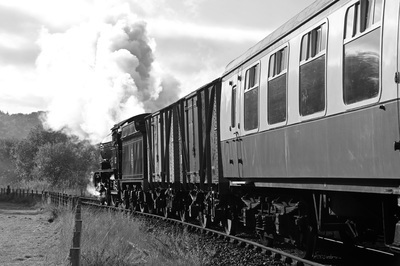 A photo charter organised by Andrew Fowler at the Bo'ness & Kinneil Railway on 26 October 2015. 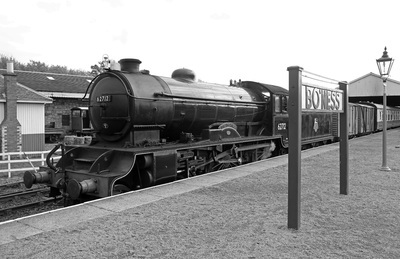 Ex LNER D49, No. 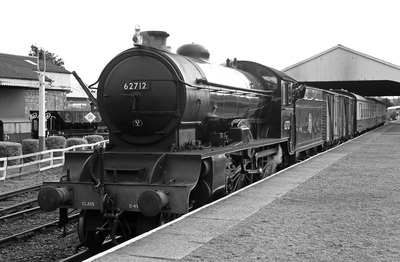 62712 'Morayshire' was the subject of the day. 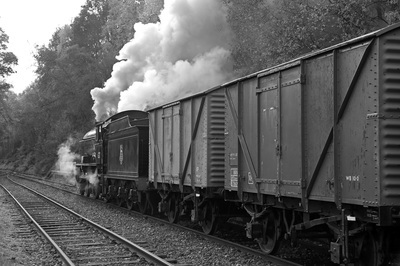 In the morning the consist was made up of two BR 12t vans and two crimson & cream Mk1's. In the afternoon the Mk1's were swapped for two maroon examples. 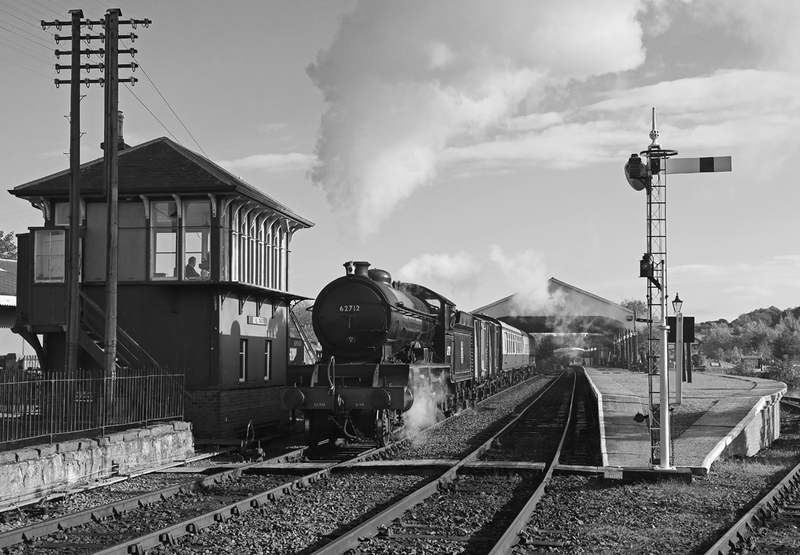 Some station scenes were caught on camera at Bo'ness but the primary focus was out on the branch. 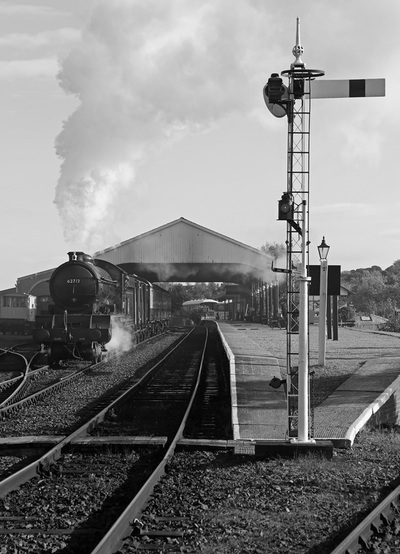 The line is limited in the number of photographic opportunities, but what it does have is worthy of a visit. The morning session was largely sunny, however after the lunchtime break, the sky was very overcast and it dulled up fast. 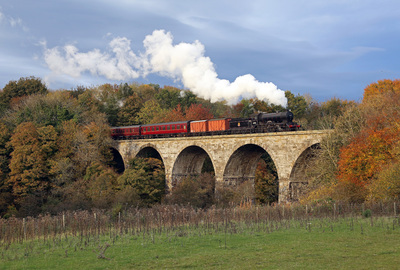 At the final location of Avon Viaduct, it was so dark half of the group had enough and boarded the train, which duly set back across the viaduct, ready for a run pass in the unlikely event of the sun reappearing. A few stayed in the field, myself included, hanging on in the hope that the simmer of light on the horizon might bear fruit before sunset. 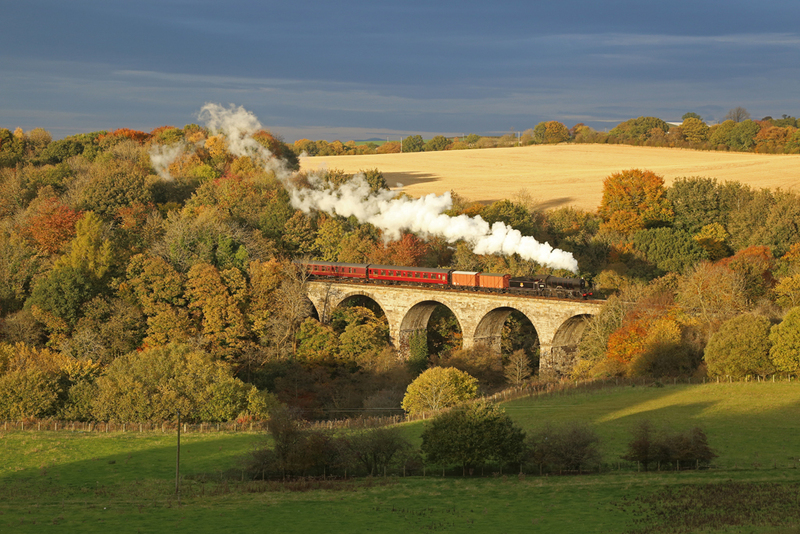 Then shortly before being summoned back to the train, the sun came and a handful of shots were achieved in some very small but stunning patches of light. The Autumn colours were lit up and really complimented the scene. 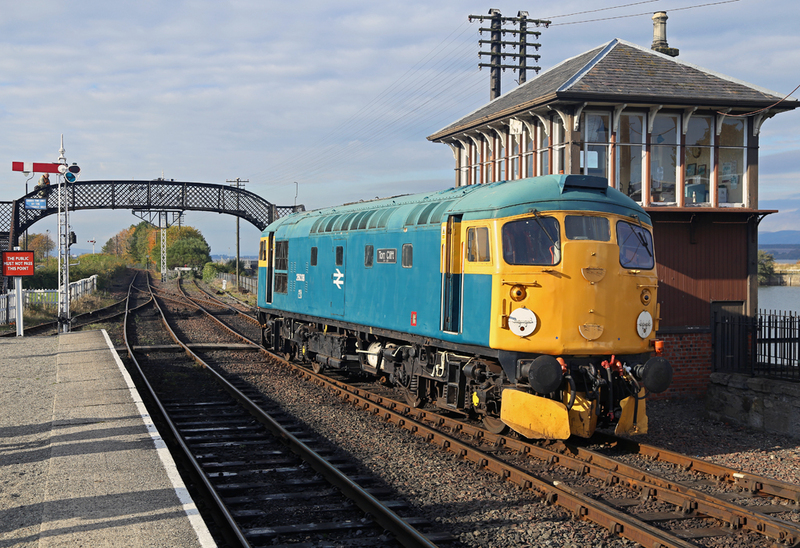 To add to the mix, class 26 No. 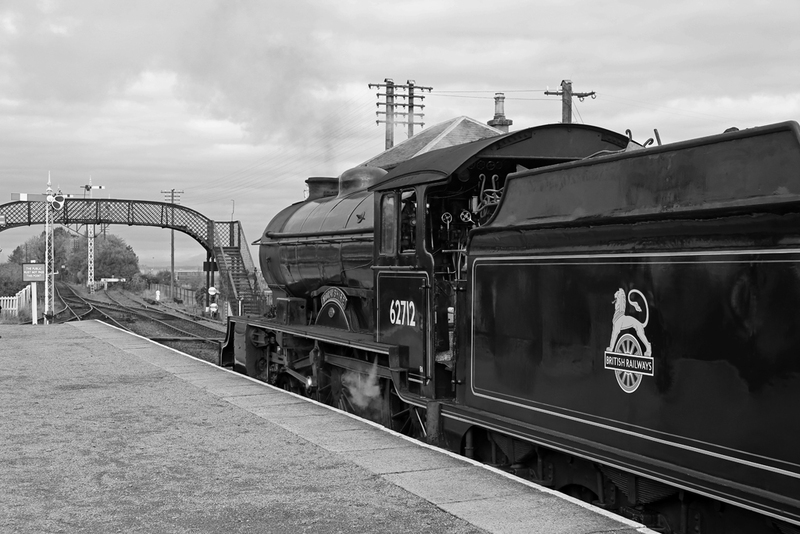 26038 'Tom Clift' (named after her late owner) was shunting around the yard, bringing back nostalgia of another lost era of Scottish railway heritage. All in all a very successful day, though quite a long out and back drive even from Lancaster!